Professor Susan Thorp holds the Chair of Finance and Superannuation at the University of Technology, Sydney. Susan's research focuses on retirement savings and long-horizon wealth management, with particular interest in consumer decision making. 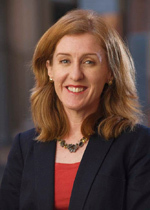 She is a Chief Investigator on three current Australian Research Council projects studying member choices in superannuation. the features of the Age Pension. Last Updated: 2014-01-10 13:14:21 by Drew Nixon.